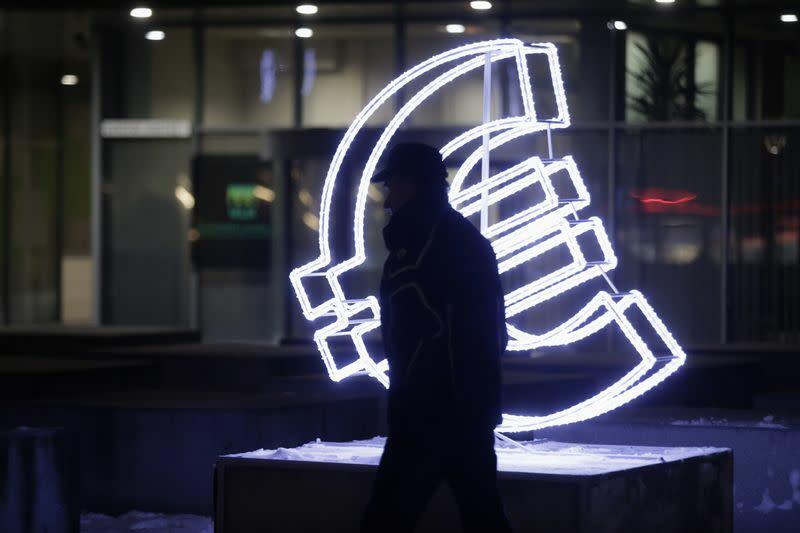 LONDON (Reuters) - The euro zone economy ended 2014 with its worst quarter for over a year, according to surveys of activity that highlighted continuing downturns in France and Italy and a stuttering performance by paymaster Germany. Britain, outside the currency union, experienced a similarly gloomy end to the year, with growth across services companies weakening to its slowest since mid-2013. That underscored a wider loss of pace in the economy as an election approaches. Italy's service sector shrank for the first time in three months in December while overall business activity in France contracted, Markit's Purchasing Managers' Indexes (PMIs) showed. "The downward revision to December's euro zone PMI added to signs that the economy is barely expanding. And with the price indices highlighting the threat of deflation, the ECB remains under intense pressure to increase its support," said Jennifer McKeown, senior European economist at Capital Economics. After ECB President Mario Draghi said last week the central bank stood ready to respond to the risk of deflation, many expect an announcement to come as soon as this month. ECB policymakers meet on Jan. 22. With May's general election expected to be close-run, the latest batch of business surveys may perturb Conservative finance minister George Osborne. Sterling (GBP=) dived to a 17-month trough against the dollar after the PMI data. The euro (EUR=), trading near nine-year lows, resumed its downward move on Tuesday. Markit's final December Eurozone Composite PMI, based on surveys of thousands of companies across the region and seen as a good indicator of growth, missed an earlier flash reading of 51.7, coming in at 51.4. While beating November's 16-month low of 51.1 and marking the 18th month the index has been above the 50 level that separates growth from contraction, Markit said the indicator pointed to fourth quarter GDP growth of just 0.1 percent. "The December purchasing managers surveys do little to ease pressure on the European Central Bank to take further stimulative action, and sooner rather than later," said Howard Archer, chief European and UK economist at IHS Global Insight. The Markit/CIPS UK Services PMI suffered its biggest decline in more than three years in December, falling to 55.8 from 58.6 in November to touch its lowest level since May 2013. But Markit said the survey still pointed to 0.5 percent GDP growth at the end of 2014 and that there were signs of increased wage growth, something the BoE has put at the center of its thinking on when to raise rates. "The surveys lost ground in the second half of the year but are still at a level consistent with a solid pace of GDP growth. We're not in a bad place, just not as super-strong as we were early in 2014," said Alan Clarke at Scotiabank.